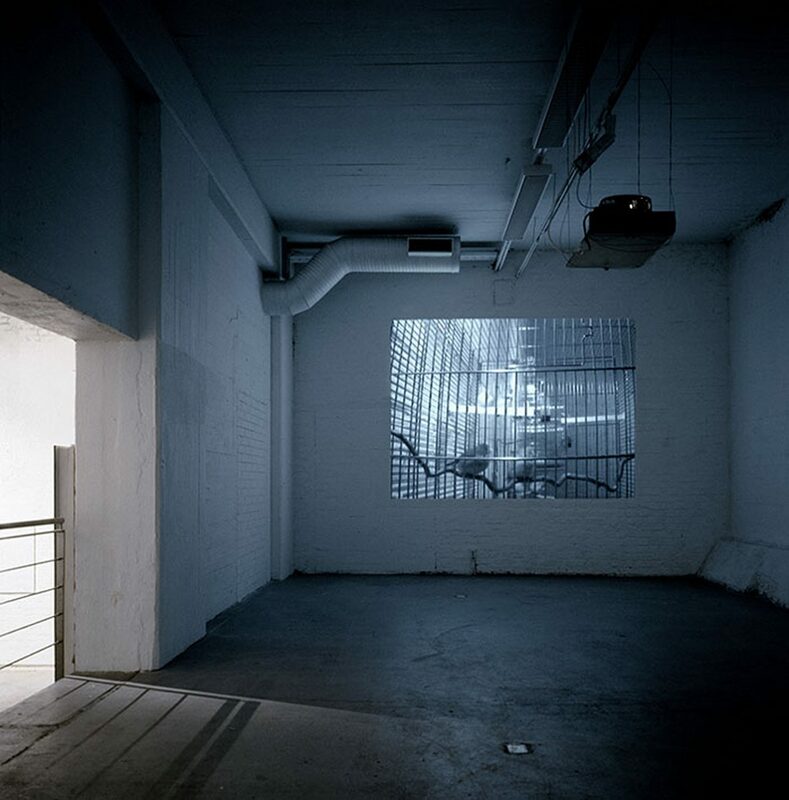 The exhibition Last Branch posed questions on captivity, surveillance and control, and how we all are affected by these. 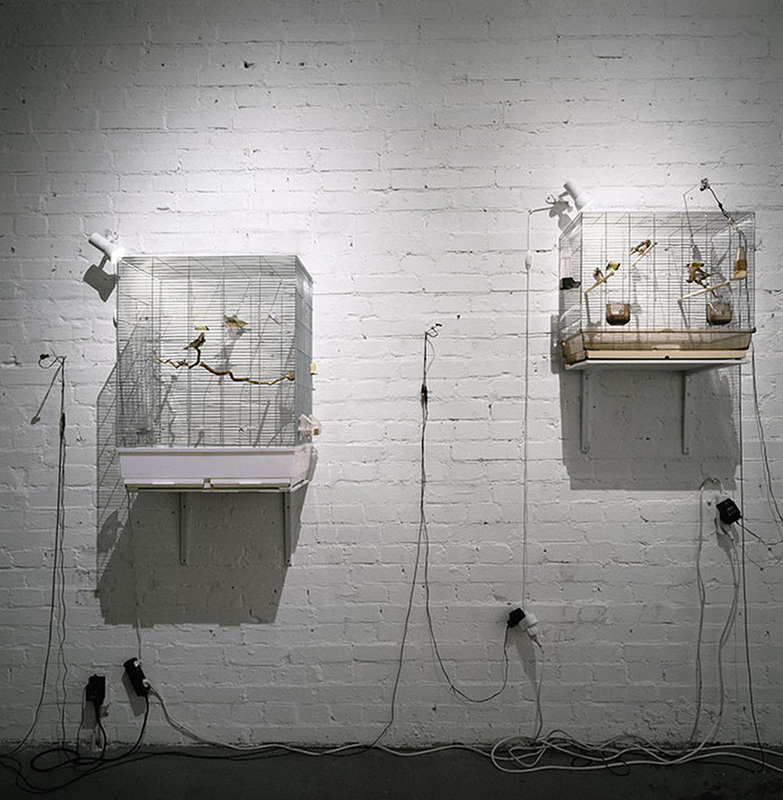 It also demonstrated how something regarded as trivial and insignificant has an intangible value, which exceeds the material one. 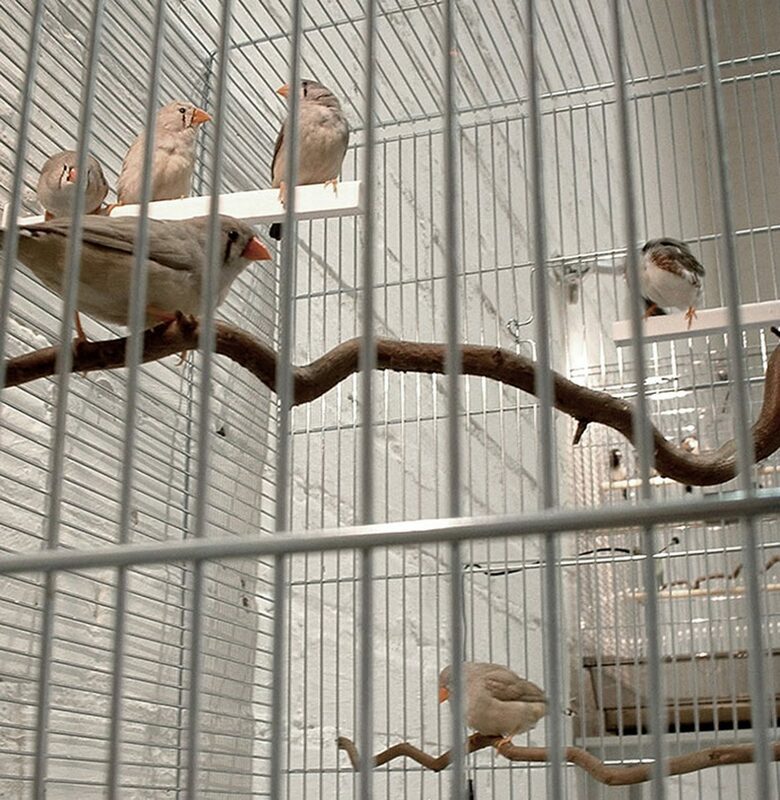 During the exhibition Saara Ekström lived, slept and worked in the gallery space, studying and documenting the life and song of 15 zebra finches with infrared surveillance cameras and microphones. 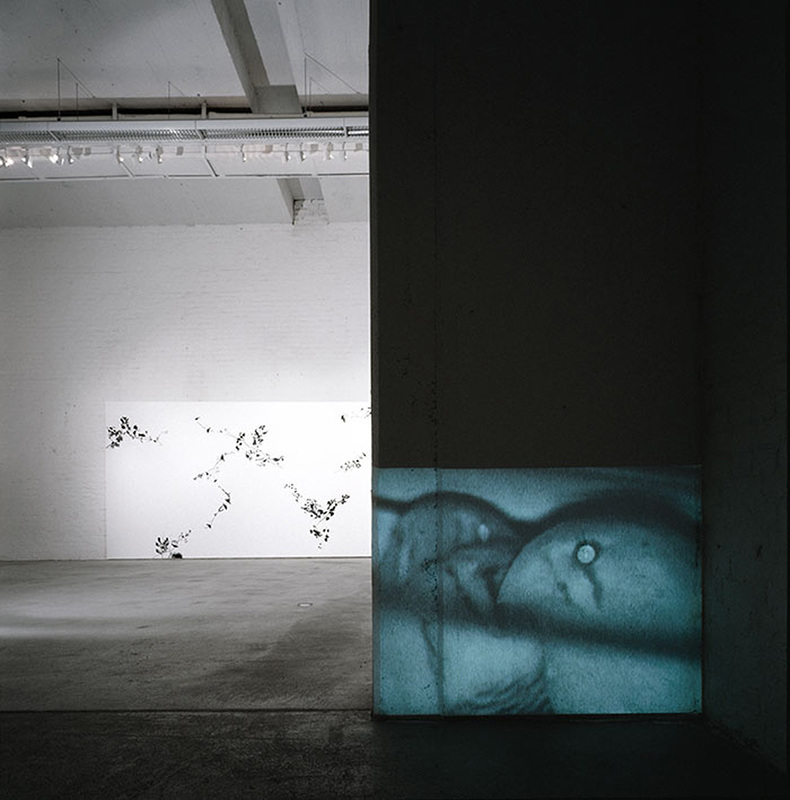 The surveillance cameras were connected to video beamers, which projected an enlarged live feed image of the inner life of the cages on the walls of the gallery. The magnified birds and their amplified song transformed them into mythical beings, exceeding people in size, instinct and power. 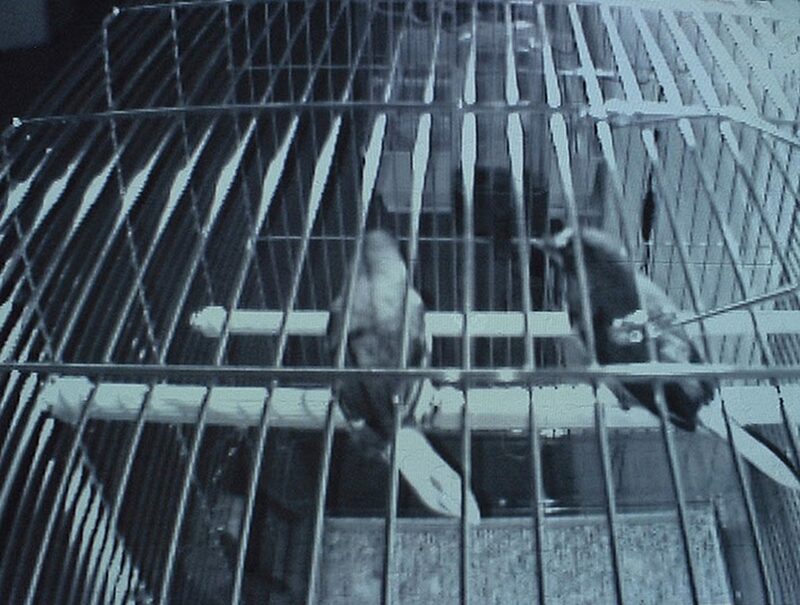 Still they remained confined to a restricted environment, which was not theirs to choose. 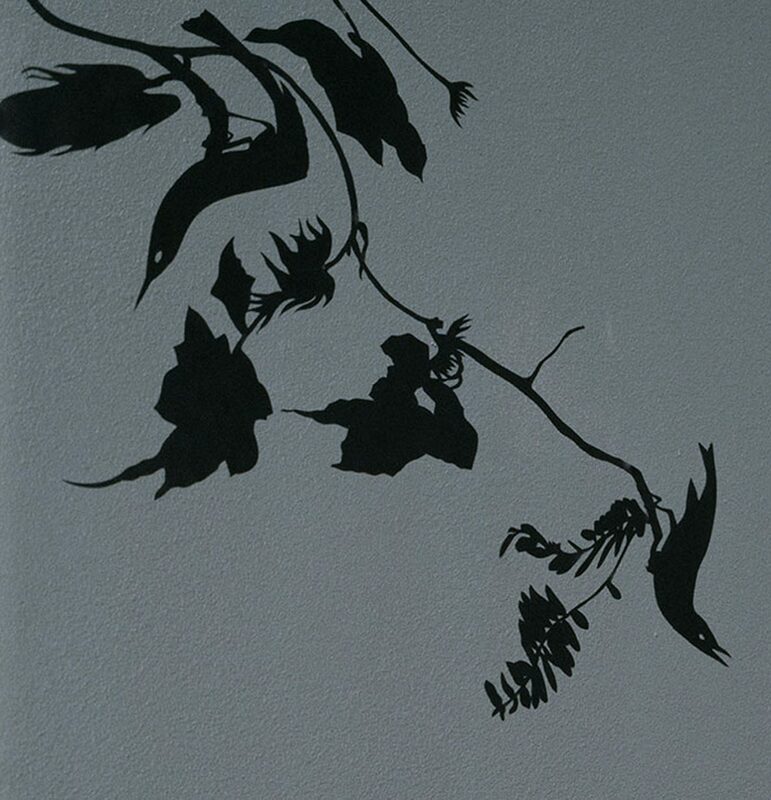 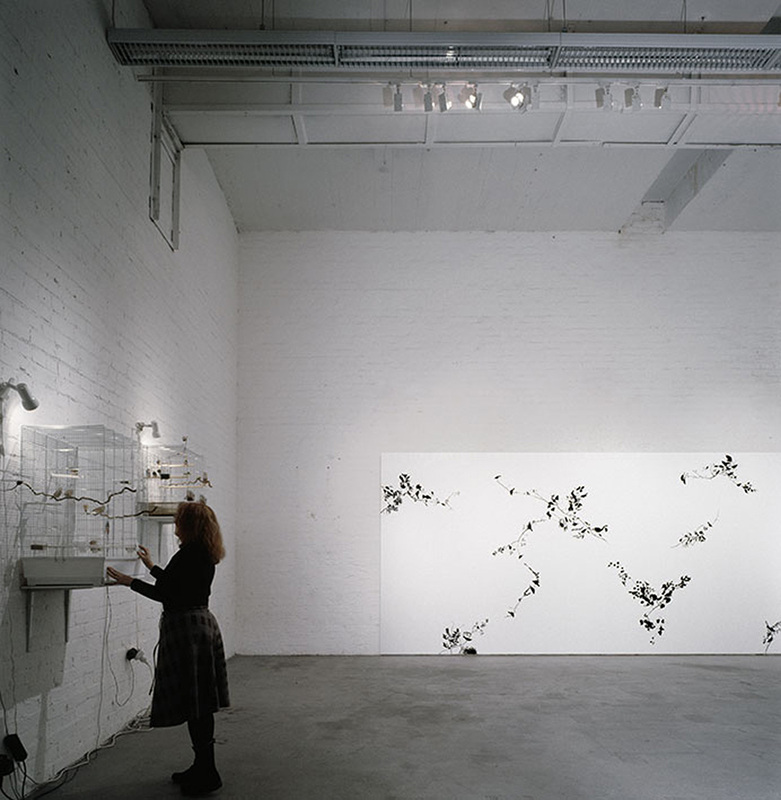 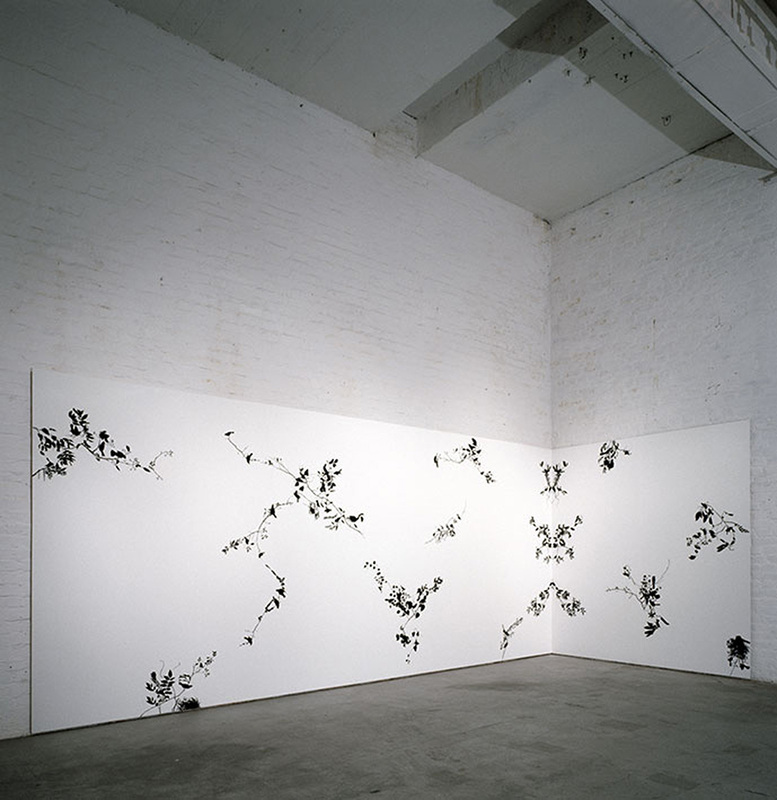 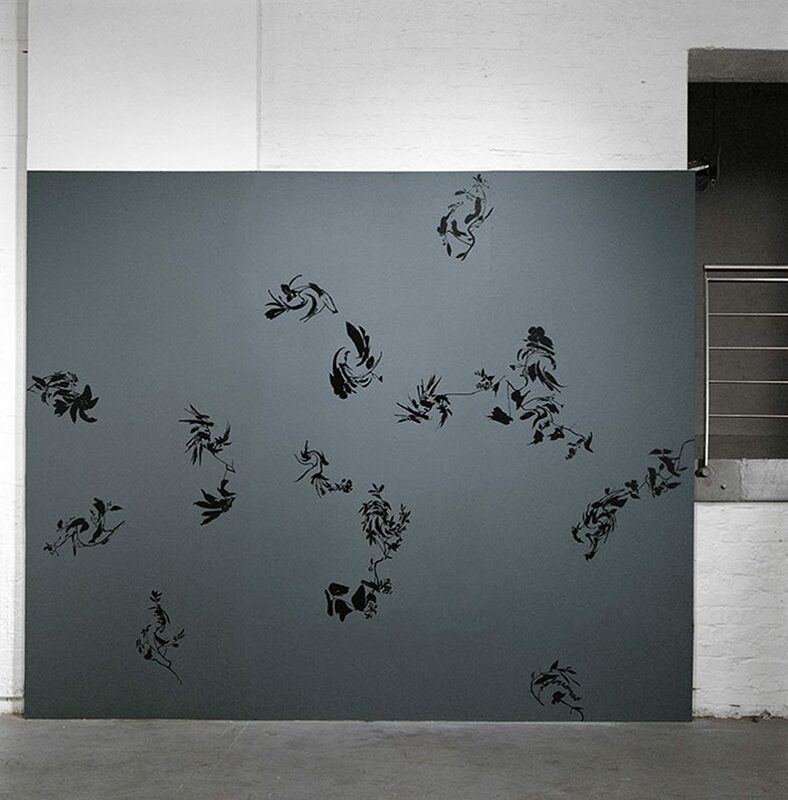 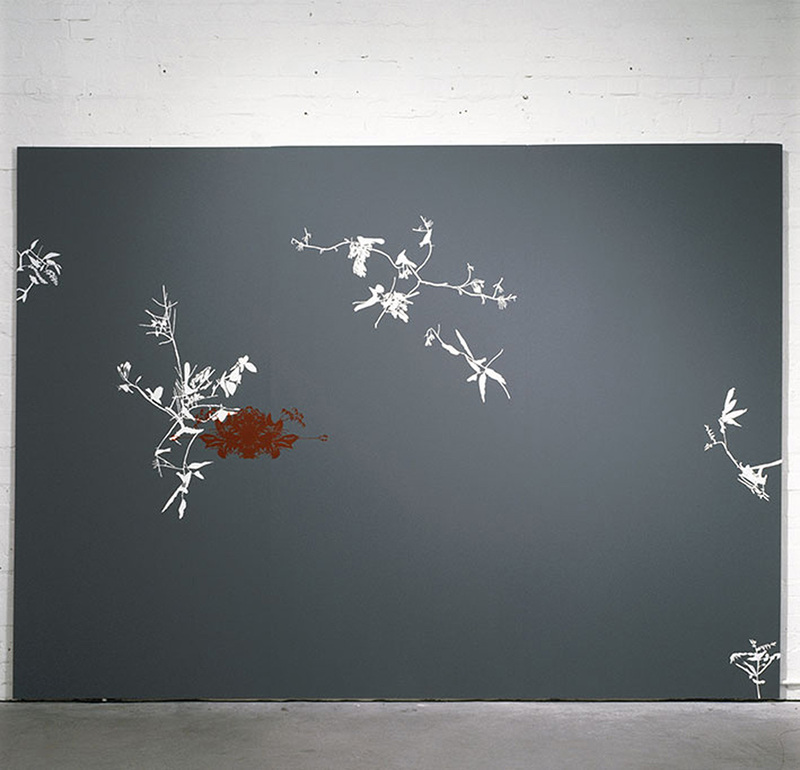 In addition to caring for the birds, Ekström performed a daily routine of cutting out and assembling a black and white sticker landscape on three large panels. 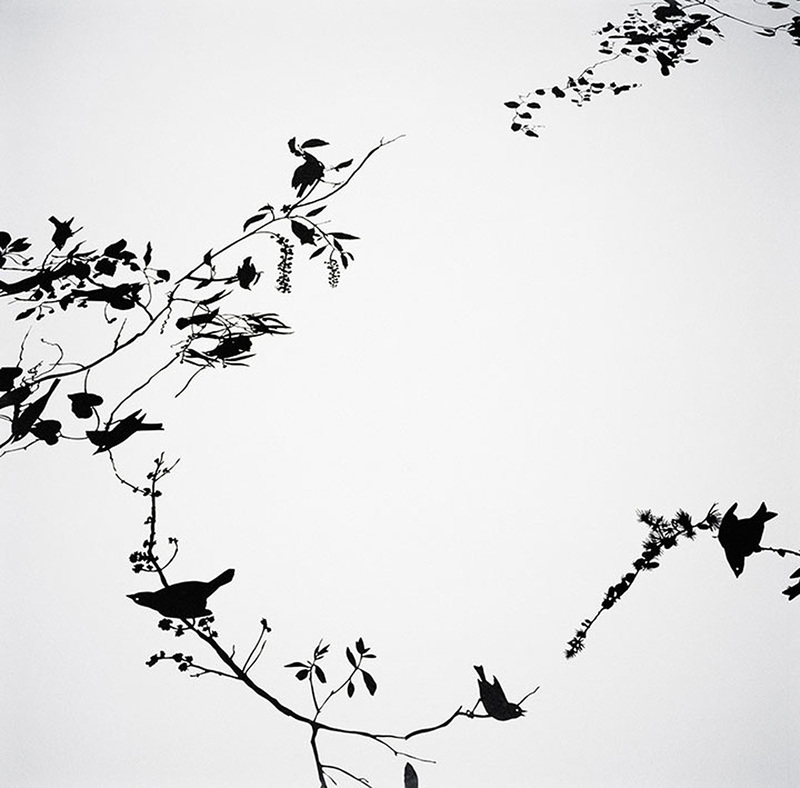 The ornamental forest grew denser day by day, slowly forming into a distorted web-like pattern of birds and branches. 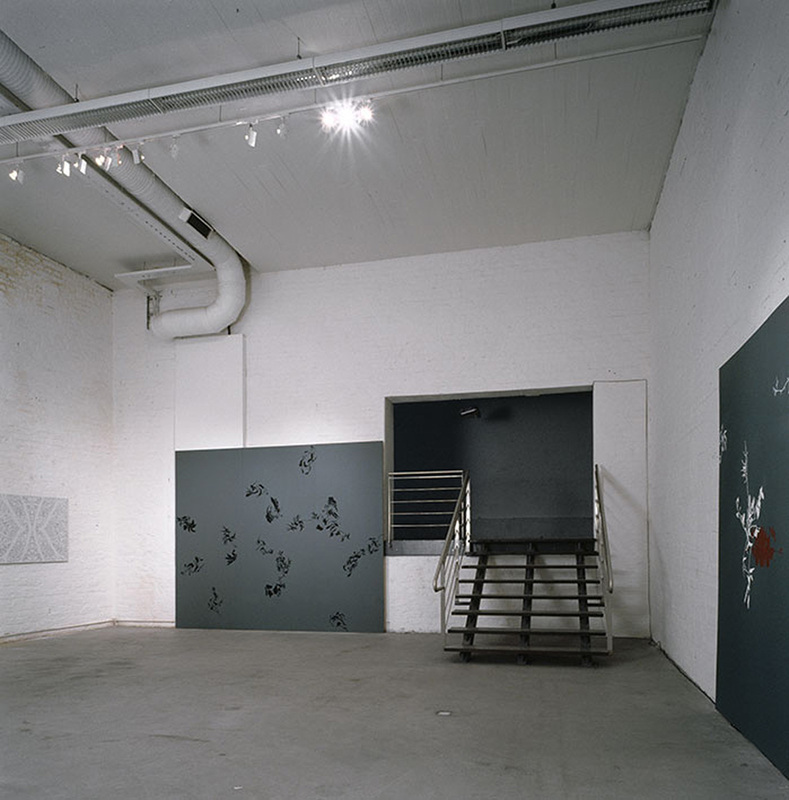 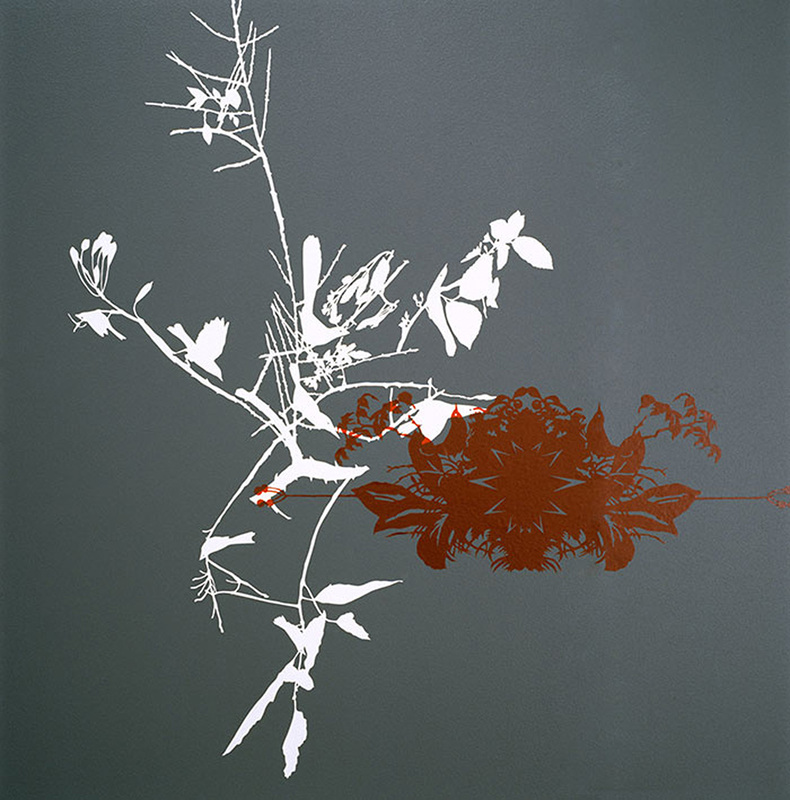 The exhibition was a hommage to Ekström’s late father, who suffered from a disorientating and confusing disease that seems to trap a person in its maze, the alzheimer.